So I have not been posting much again.. Lol.. Anyway, I wanted to do a post about the recent food hunt. I have been to a few locations lately, so I will do the posts one by one. The first stop I had was 2 weeks ago at Grub. 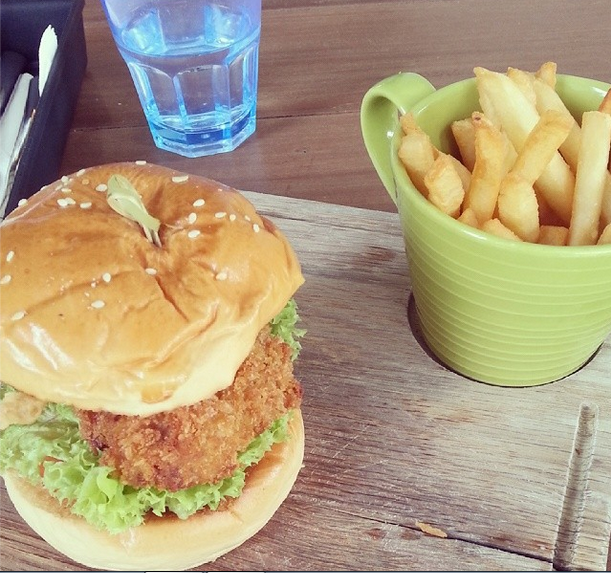 Grub is located at the Ang Mo Kio – Bishan Park. You can’t missed this cafe as its in the middle of the park. It has a nice setting where you can have a good view of the bustling life of nature. In other words, bee and birds trying to find food from the flower petals. Anyway, I got to know Grub through one of the instagrammer whom I followed. She went to this location and ordered this which caught my attention. 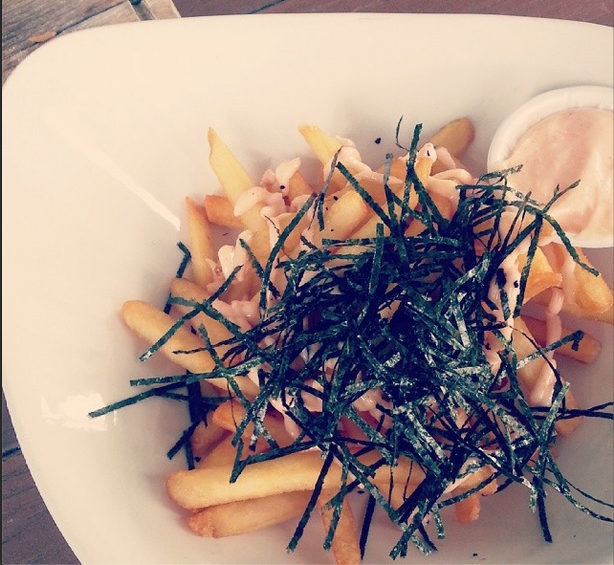 I found it special as they served seaweed together with the fries. I am not quite sure what sauce they added with it but it was well mixed. If you are interested, do give this cafe a try as they have good food, good setting. Be ware of their opening and closing hours. On Saturday, they are closed at 4pm to a certain timing which I can’t remember. If you want to have a tea break at this cafe, do check in early and get your orders ready.